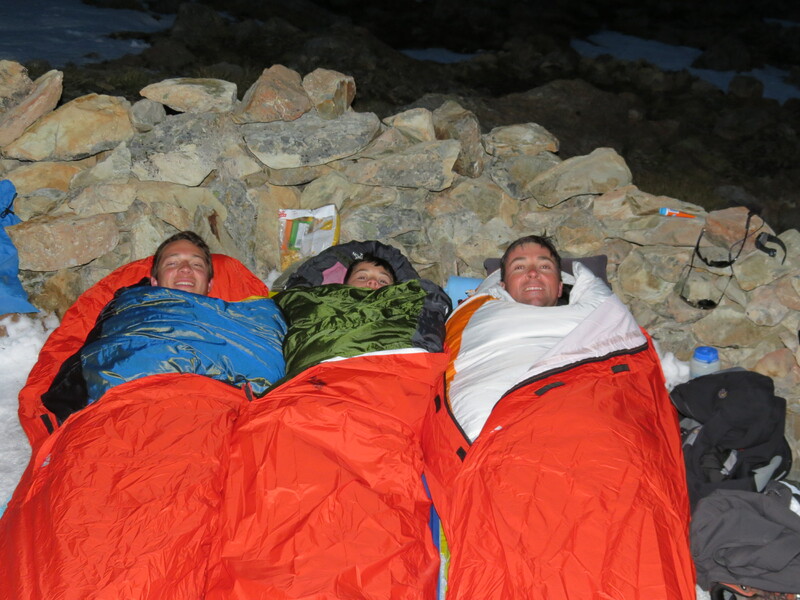 Sleeping out under the stars on a glacier in New Zealand. As I finished this morning’s 1.5 hour bike ride, I got off of that contraception, knowing that sunrise was still over an hour away. I am too hot to sit down on any of the furniture or chairs in the house – Mom would kill me. The truth is all I can think about this AM is you guys. One day, you will have to review your life and decide what to take from your family and call family tradition and what you will do independent of your mother and me. It is my prayer this am that you both conclude that sacrifice is who we are. It is our tradition. We do things for bigger reasons than what feels good or makes us money. We sweat not to look good in a mirror, but have a better quality of life. We adopt activities that match how we have been uniquely made. And when we suffer, we endure…not because we want to, but because it is the right thing to do. Without sacrifice, we have no legacy to hand down. We leave no fingerprint when we are not here on Earth any longer. Any inheritance is soon spent. Estates and business do not survive the true test of time. It is only our legacy that we can pass down, with any certainty. I want you guys to learn to push yourselves. This am, I felt that I was in His arms as I pushed. I want you to go to that place, too. I run, bike, climb, hike at extreme levels. I take on uncertainty with joy. It is very OK if you two do not have these same interests. Find your thing that makes you feel like you are soaring and push it. It will be OK if others conclude that you are “overdoing” it. We will be proud of your efforts to sacrifice and soar high. And you will be proud of your new strength. Next postTime off from training, without time off from training. Spot on with this write-up, I truly think this web site needs far more attention. I’ll probably be returning to read more, thanks for the advice!